We just visited a blog titled: Rediscovering Lost Arts from Our Mothers. Isn’t that just so appropriate since Cinnamah-Brosia kept so many of her Gram’s favorite recipes for her Coffee Cottage? 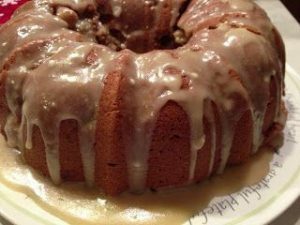 Check out this recipe for Apple Spice Cake with Brown Sugar Glaze. Absolutely perfect for Autumn when the apples are there freshest! This may be the shortest blog post on the site, but it’s tall on flavor! The Essence of Courage may be ordered here. Chocolate & Self Control – Enjoy the Irony and the Chocolate!